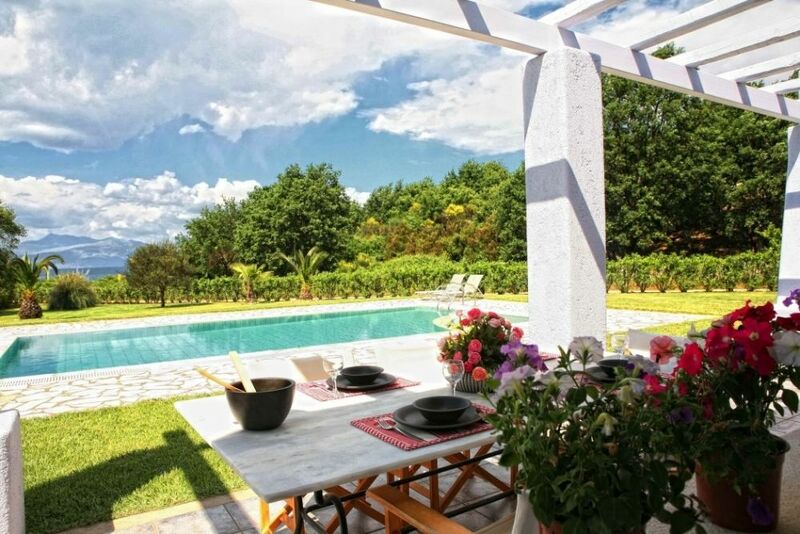 Corfu villas | Villas for rent in Corfu, Greece COR004 | Villa for rent in Corfu, Greece, for 8 guests fully equipped, 50m from the sea. 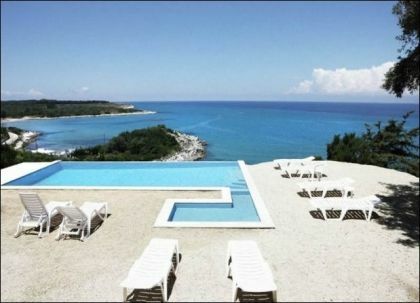 The Villa in complex for rent in Corfu, Greece. 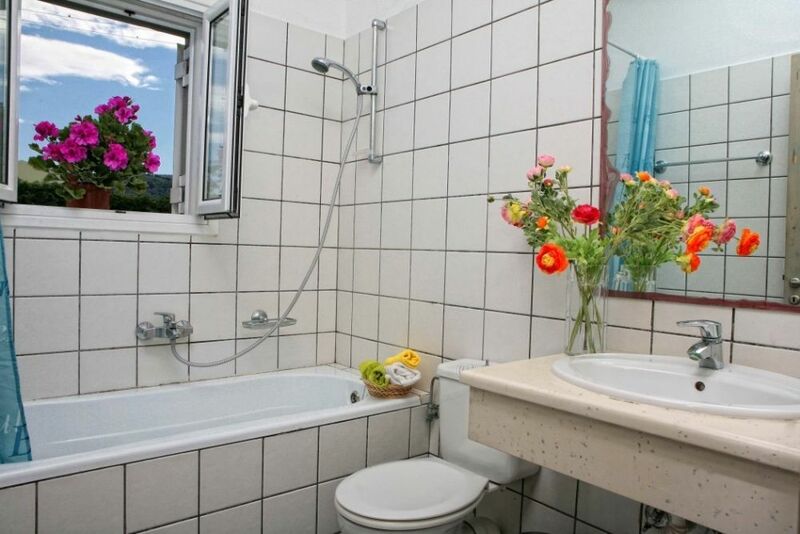 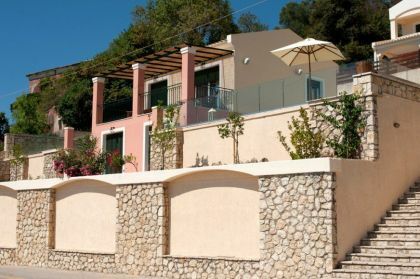 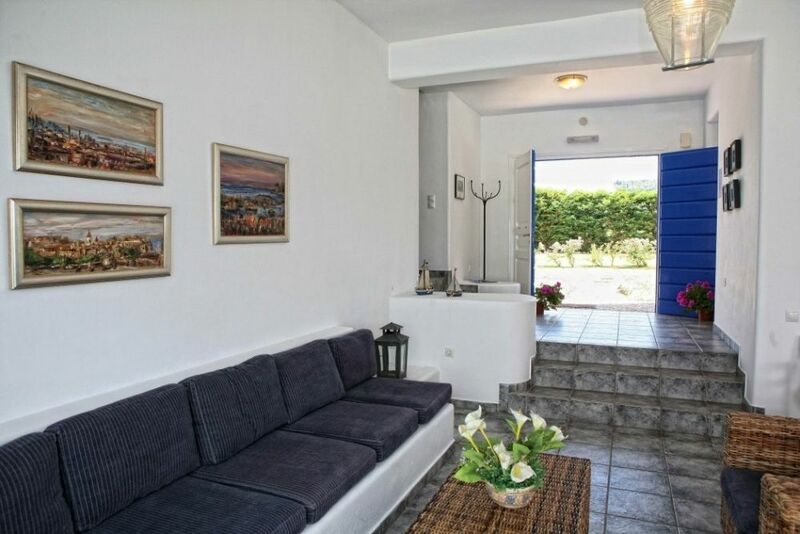 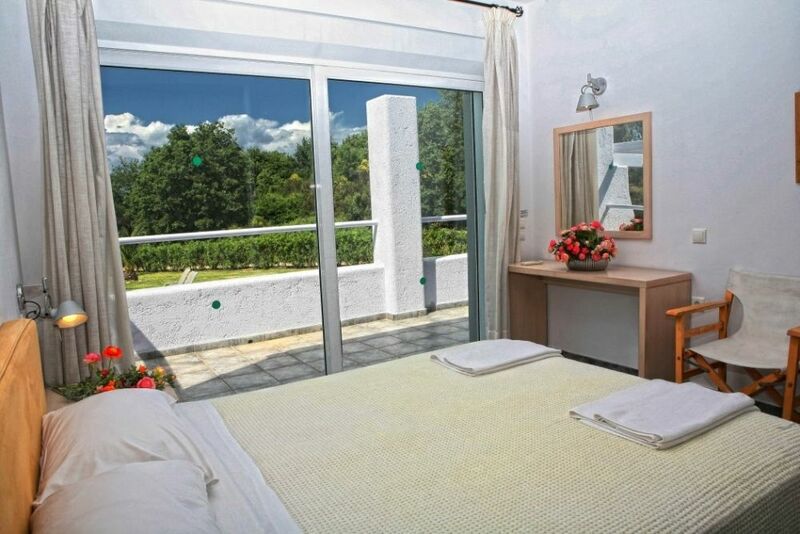 The villa is situated just 50m - 100m from the beach, walking distance and offers sea view privacy. 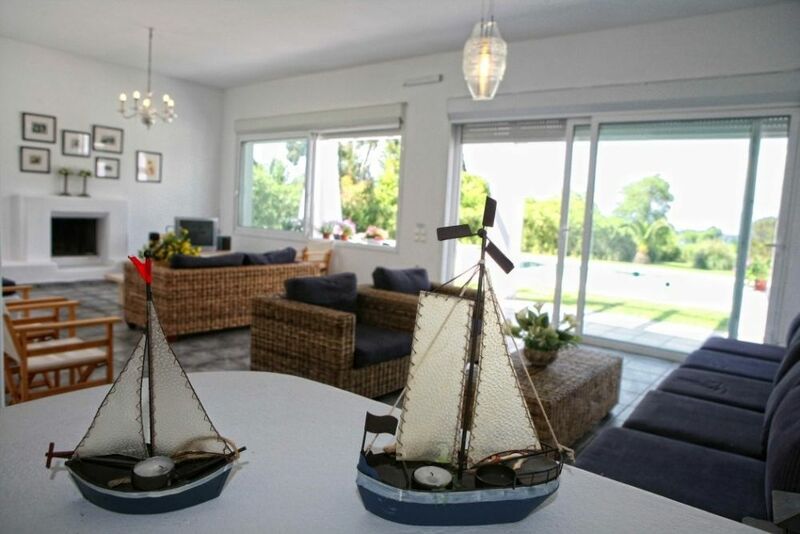 Ground floor level: Two bedrooms with double bed and en-suite bathroom with own veranda offering sea view. 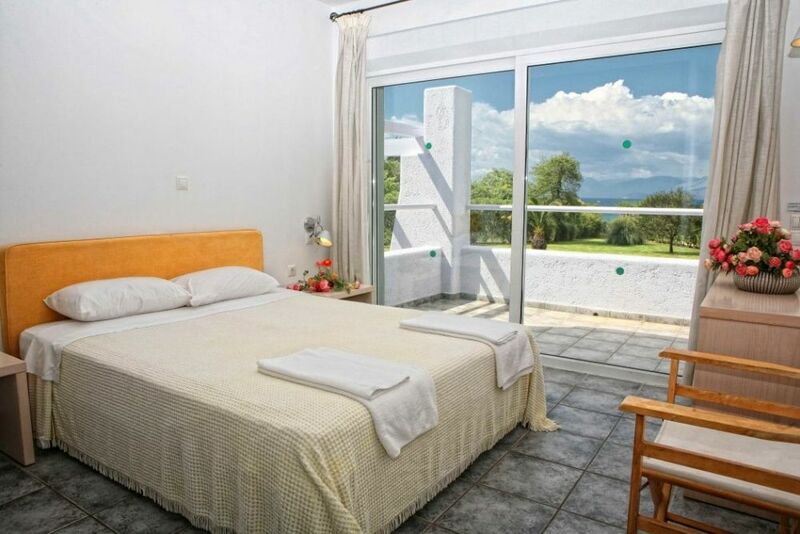 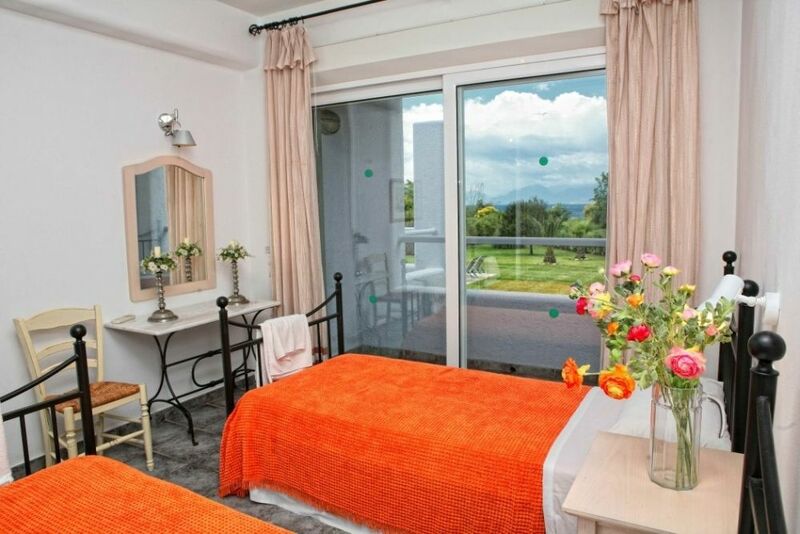 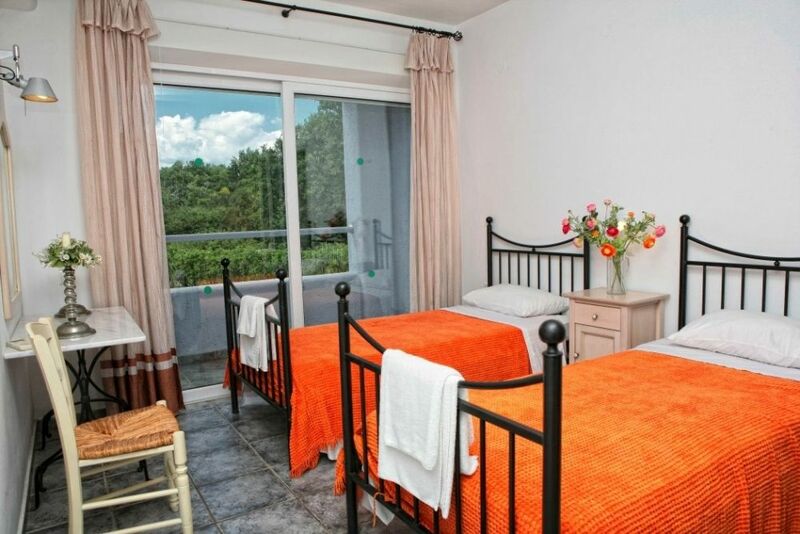 Two bedrooms with two single beds and en-suite bathrooms with own verandas and sea view. 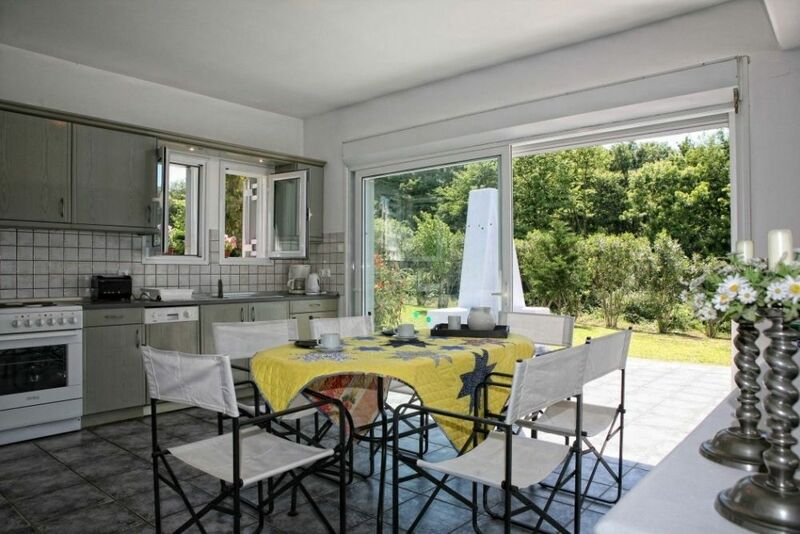 Open plan kitchen/sitting and dining area with a fireplace leading out to a canopied eating area overlooking the big pool (with an extra section for children). 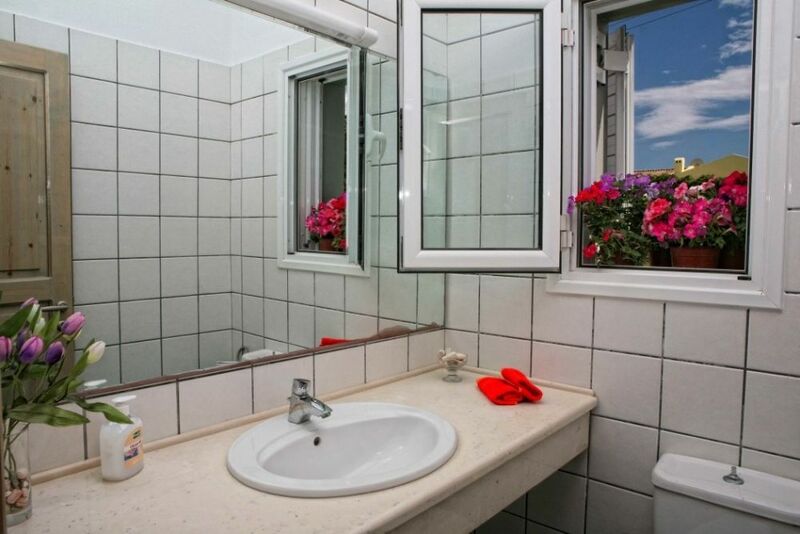 A study/work room, laundry room, WC. 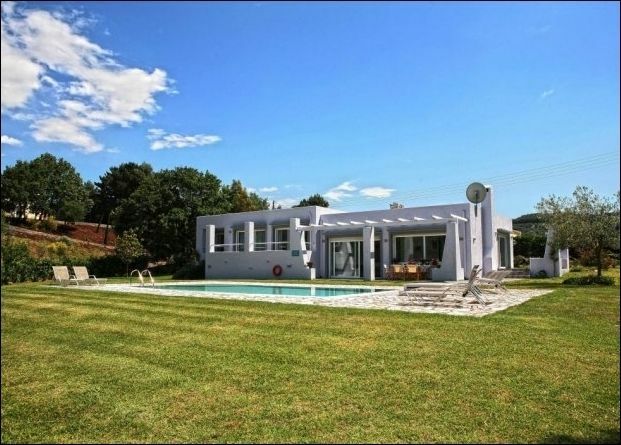 Exterior area: The Villa gives the sensation of indoor/outdoor living with large sliding doors leading out to a canopied eating area which looks out to the pool. 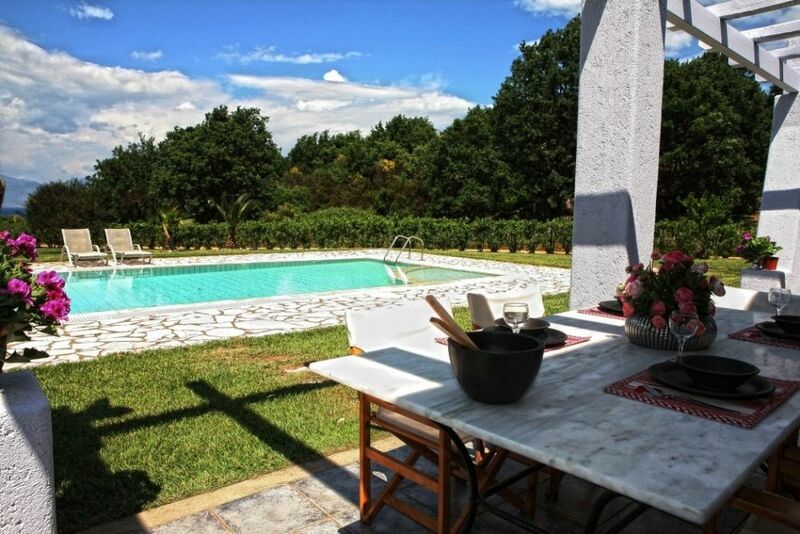 The house has its own totally private garden and patio area with heated pool and built in BBQ. 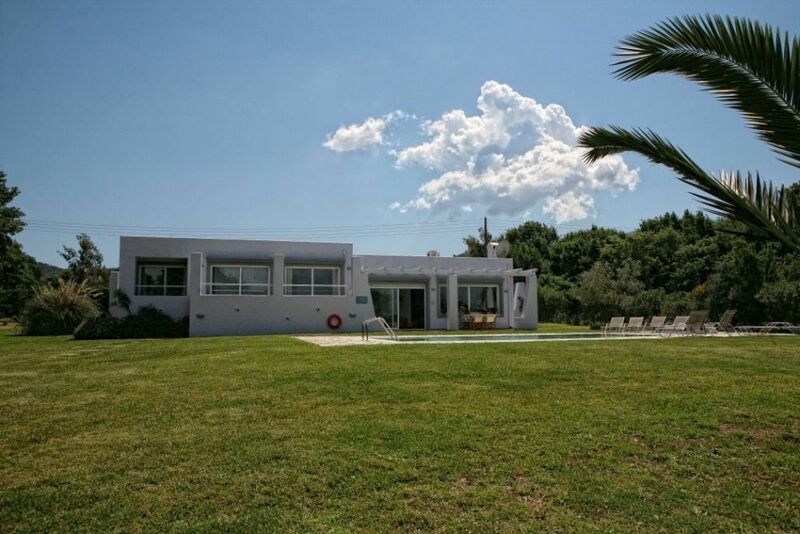 The villa is surrounded by 4300 m2 beautiful lawned grounds which have been planted with cyprus trees, orange trees, lemon trees, olive trees as well as Mediterranean plants.